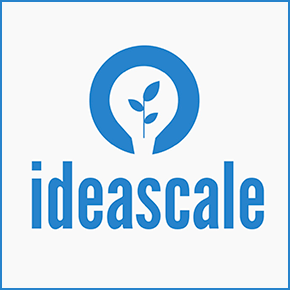 IdeaScale, the innovation management software, enables companies to build living/breathing Digg style communities. IdeaScale is based on the simple model of crowdsourcing. It begins with an idea posted to your IdeaScale community by a user. Each idea can be expanded through comments by the community. The ultimate measure of an idea is determined by a voting system. Any idea can be voted to the top or buried back down to the bottom. 1. The tool is very powerful -- In eliciting responses. There is enough social-science research done about the fact that users are willing and happy to give you their opinion and feedback. 2. Agility In Business -- As organizations go larger, it's a natural tendency to become less agile. There are many ways to overcome this and an IdeaScale type portal can allow your company to think about agility. 3. Prevent Dilution -- One of the challenges is for companies to infuse new ideas and thought without dilution. Corporate structures usually dilute radical ideas before they are presented to stakeholders. IdeaScale type portals not only give customers access to express their opinions, but also senior level executives to touch and feel the undiluted feedback. 4. Bi-Directional Direct Access -- With IdeaScale type portals, the levels of bureaucracy are greatly reduced. Anyone in your company can login to the IdeaScale portal to view suggestions and any customer can also login and post suggestions. This helps breaks down corporate barriers. 5. Rapid Turnaround -- Once the community is established and vibrant, the same community can be used for vetting internal ideas and suggestions also. It can act as a first filter layer on new ideas and suggestion that are generated internally.